Bike lights & camera specialist Cycliq has announced its new partnership with Demand Film, joining as the Global Presentation Partner of MAMIL – the documentary exposé on the secret world of middle-aged men in Lycra (MAMILs). Described as ‘Witty, insightful, poignant and thoroughly entertaining’, the MAMIL movie also aims to bring to light important themes that are at the core of the cycling community, such as road safety. Cycliq’s mission is to make cycling safer and improve experiences for all road users, with the new partnership with Demand Film seen as an ideal fit. The camera brand launched two new ‘Connected Edition (CE)’ dashcams at the end of last year, the Fly6 CE and Fly12 CE, in its quest to boost cyclists’ safety worldwide. Cycliq came to life four years ago when its co-founder Kingsley Fiegert was hit with a ball bearing fired from a slingshot, while cycling in the Perth Hills in his native Australia. Kingsley was injured and distressed, so started to think about how something like this could be deterred in the future. After much research, hard work, and a successful campaign on Kickstarter, the Fly6 was born. 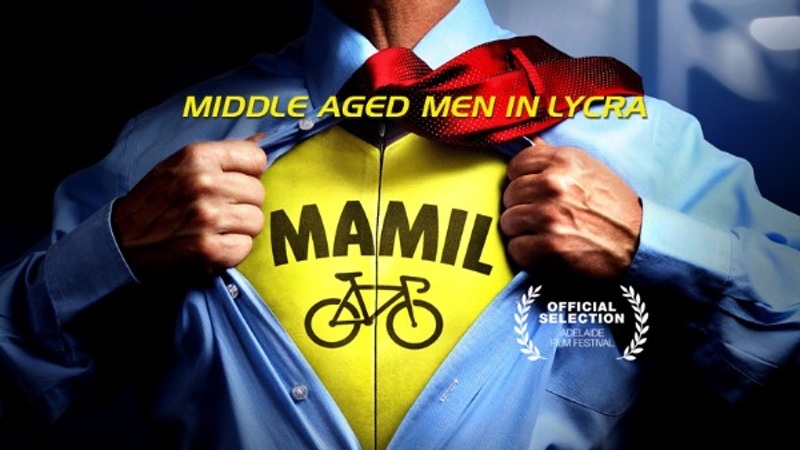 MAMIL is a feature-length documentary that enters the world of middle-aged men in Lycra to uncover the reasons why they take to the road. Narrated by professional cycling commentary legend Phil Liggett, MAMIL uncovers the world of the Lycra lifestyle and raises awareness of important issues such as mental health and road safety. David Doepel, CEO of Demand Film, said “We are thrilled with the partnership and the innovative ideas the collaboration with Cycliq has produced. In particular, ‘mamilcam.com’, which draws inspiration from the filmmaking style of the director Nick Bird, and gives the cycling public the chance to share their own video moments with the world. The red carpet UK Premiere of MAMIL will be screened at the ODEON Bath, in Bath, UK on Monday, 26th February at 19:15 GMT. Special guests will include Phil Liggett and two of the stars from the movie. Tickets need to be reserved in advance of the Demand Film website. MAMIL will be in selected cinemas throughout Australia, Ireland, New Zealand, the UK and USA from Wednesday, 21st February. Tickets need to be reserved in advance at Demand.Film.